Complete & ready for use insulation box truck, insulation machine, generator and accessories. Will blow loose fill fiberglass and cellulose and is also excellent for densepacking cellulose. We are an energy auditing and home performance contracting company moving to auditing only - will subcontract air sealing and insulation work moving forward. 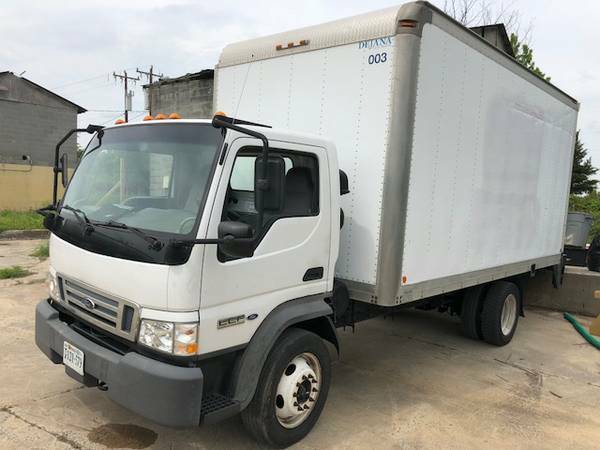 TRUCK: Truck is a 24’ long (16’ box) 2006 Ford LCF in excellent condition with 149,000 miles. Service record available. Includes lift gate. Cab is also in excellent condition with cruise control and automatic windows. Tires in great shape. INSULATION MACHINE: Krendle 500 high power 2-blower machine that easily handles loose fill and demanding densepack cellulose projects. Includes 200+ linear feet of 4", 3", 2" and densepack hoses and connectors. Recently serviced with installation of new maintenance package (e.g. new blades, seals, blower, etc.). GENERATOR: 22,500 starting watts/15,000 running watts. Excellent condition with electronic starting. 110 and 220 volts. Recently serviced. SUPPORT: Will train buyer how to use insulation equipment. If buyer plans to operate in Charlotte, we will also explore training buyer how to weatherize homes and subcontracting our business to buyer. Thank you!